Bill Gates and Paul Allen were once the bad boys of the University of Washington’s computer science lab. Now, the school’s buildings are named in their honor. Forty-six years ago, the director of the computer science lab at the University of Washington kicked high-school students Bill Gates and Paul Allen out for hogging the teletype machines and swiping an acoustic coupler. So it is perhaps a special irony that on Thursday, the UW’s regents board — which had already named the computer science school and one building after Allen — named the school’s newest $110 million building after Gates and his wife, Melinda. 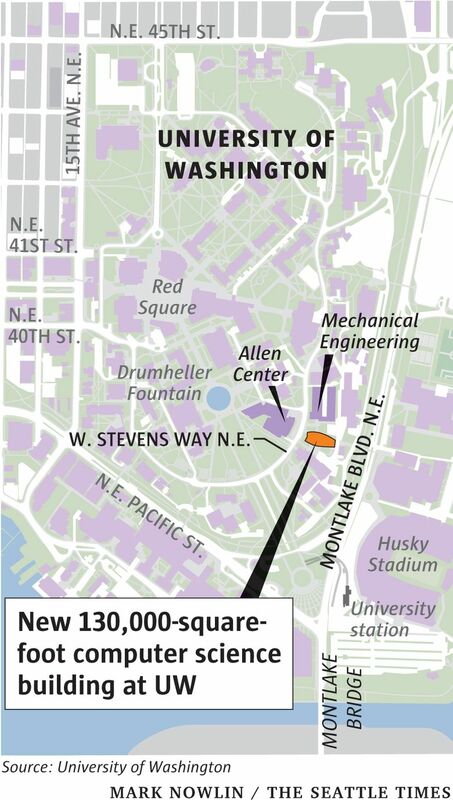 It will become the Bill & Melinda Gates Center for Computer Science & Engineering, across from the Paul G. Allen Center for Computer Science & Engineering. Buildings are often named after the person who donated the most money to build them, but not this time. Although the Gates family and its foundation have given more than $1.25 billion to the UW for such things as global health, research, scholarships and a new law school building — the foundation and the family haven’t contributed money to this project. Instead, some of the city’s most well-heeled tech leaders got together and, calling themselves “the friends of Bill and Melinda,” agreed to donate $30 million toward the project and name the building after the Microsoft co-founder and his wife. 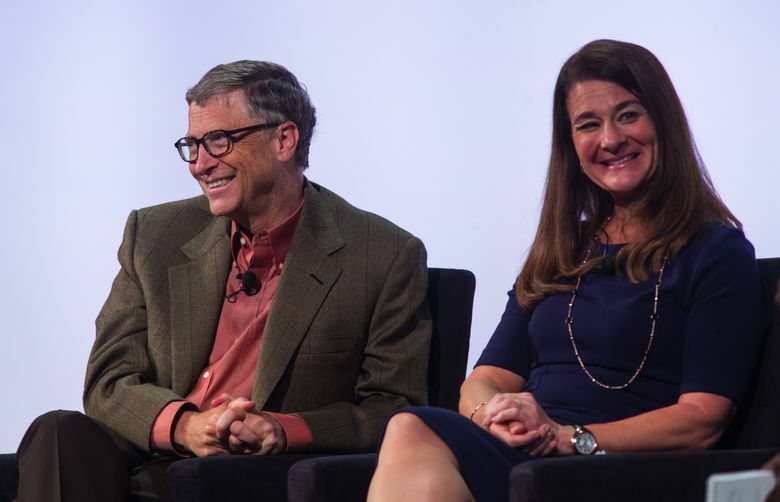 Melinda Gates, who also worked at Microsoft, is now co-chair, along with her husband, of the Bill & Melinda Gates Foundation. “It’s emblematic of Seattle, the way people help and respect each other,” said Ed Lazowska, who holds the UW’s Bill & Melinda Gates chair in computer science. Lazowska partnered with Microsoft President Brad Smith to raise the private money to fund the building. Lazowska said the naming idea started with Smith and his wife, Kathy Surace-Smith, who proposed it to Charles and Lisa Simonyi (Charles was an early Microsoft programmer). The Simonyis were enthusiastic, and the idea “developed incredible momentum,” Lazowska said, with a who’s-who list of the tech community throwing millions at the project: Satya and Anu Nadella (Microsoft CEO), Jeff and MacKenzie Bezos (Amazon), Lloyd and Janet Frink (Zillow), Jim and Catherine Allchin (Microsoft) — 13 couples in all. The UW Seattle campus already is home to Mary Gates Hall (named after Bill’s mother) and the law school’s William H. Gates Hall (named after his father). Both were UW regents. Allen’s father was an associate librarian, which led the other co-founder of Microsoft to give money toward the construction of the Allen Library, a modern wing of the gothic Suzzallo. Seven other computer science buildings on campuses around the globe also bear the Gates name, but Bill Gates was reportedly tickled by the news about the UW’s structure. The new Gates Center is expected to be finished in late 2018, and will open early in 2019. It will help double the number of students who can major in computer science, already one of the most sought-after majors at the UW.